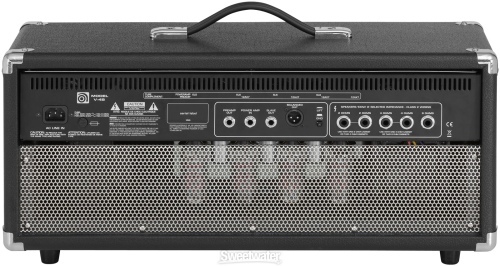 Wow, that is something I thought I’d never see… a NEW Ampeg V-4B. 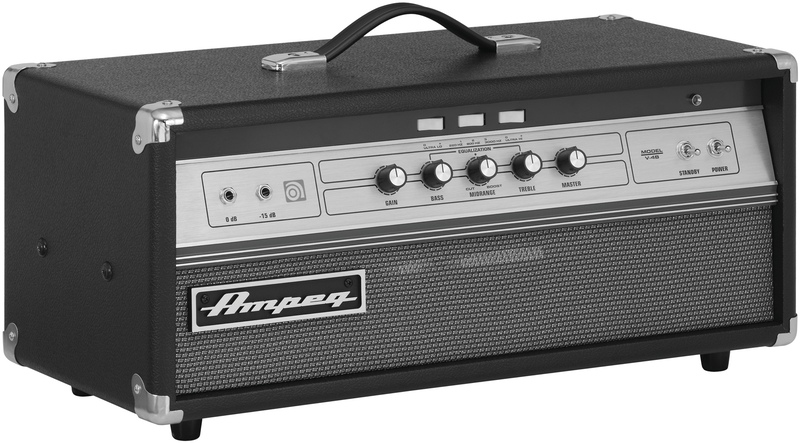 While I was doing a search for something else related to my OLD V-4B, I came across the press that this month, Ampeg has re-introduced my favorite all time bass amp back into their line-up. Ain’t she a beaut! It’s funny that they’ve recreated the V-4B, as the original was a guitar amp. They added the B when bass players started using it, changed a few caps, and ditched the reverb. 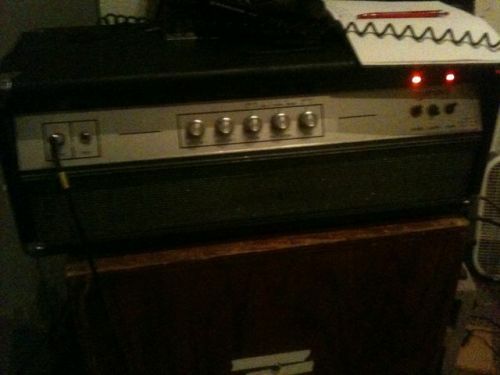 As a guitar amp, it ruled, but as a bass amp, it surprisingly ruled even harder. It even incorporates the original’s shock-mount system that, as far as I can tell, no one has had the smarts to copy. They’ve added a gain knob which is more like the late ’70s version of the V-4B. I’m not sure which circuit they’ve gone after… the early and late ’70s V-4s are pretty different amps inside. A look on the back shows some nice features. First off, detachable power cord… pretty standard these days but it was unknown in the ’70s. It can still slave another amp, but unlike the original, it also has pre-out and power-amp in. This allows a lot of different head combos, but also a rudimentary loop for effects. There’s a much needed DI out, something convenient on ANY bass amp. The speaker plug system is a little wonky for my taste, kinda like the back of Mesa-Boogie Rectifier. I prefer the original having just two parallel outs and a switch, but hey, maybe this is better for some reason I don’t get. It looks like they’ve ditched the original tube-rectifier for something solid-state, which is fine… it does nothing to the tone and the original uses an out-of-production tube that’s getting expensive on the after-market. It uses four 6L6 tubes for 100 Watts. The original was rated at more like 120 Watts, but maybe that’s because it used slightly more robust 7027A tubes that are no longer made, so it could be biased a little hotter. Before you get in my grill, the current production 7027A tubes are just relabeled 6L6s. It’s awesome that Ampeg has remade this amp, but considering how cheap they go for used, it’ll be interesting to see if this new, more expensive model takes off. For the sake of quality amplifiers coming back onto market, I hope it does. I’m itching to try one of these out in person to compare to my own original V-4B. Until then, I’ll have to be satisfied with this Ampeg promotional video. Anyone who is interested in great Ampeg amplifier stuff might be also interested in some brand new Rotary Relaunch Aluminum Knobs. Come in and find out! that is amazing! I would love to do a post on these!